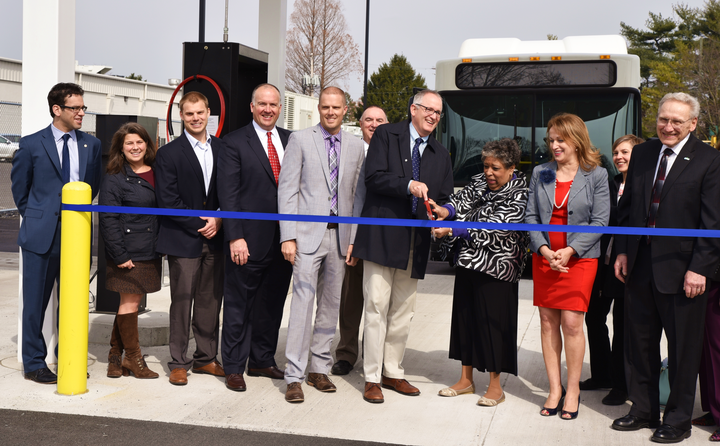 In mid-April, UGI joined the Lehigh and Northampton Transportation Authority (LANta) to mark the official opening of its new compressed natural gas (CNG) fueling station in Allentown. LANta CNG-fueled bus and fueling station in Allentown. LANta currently has 16 CNG buses in its fleet and expects to add another 18 by mid-2019. When it does, it will have one of the largest CNG-fueled public transportation fleets in Pennsylvania – second only to State College. UGI Utilities and LANta celebrate the opening of LANta’s newest CNG fueling station. 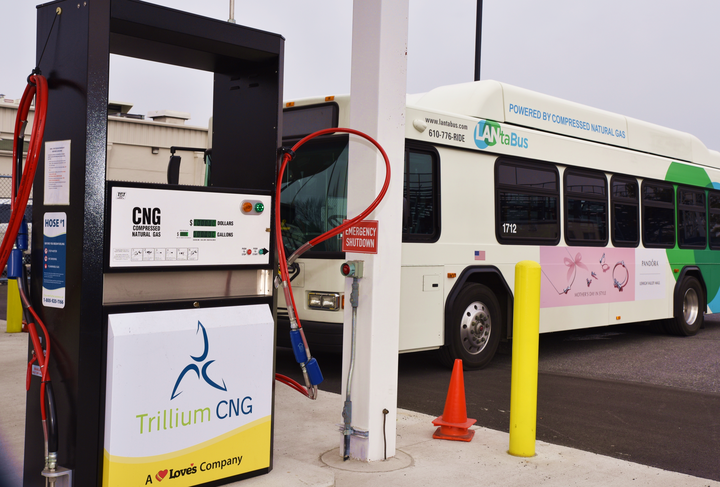 Through the $84.5 million statewide P3 project, Trillium is designing, building, financing and will operate and maintain CNG fueling stations at 29 public transit agency sites through a 20-year Public Private Partnership (P3) agreement. “This P3 CNG program continues to move forward and will make use of a Pennsylvania-generated fuel resource,” Pennsylvania Gov. Tom Wolf said. Why choose natural gas vehicles? Cost savings – natural gas costs nearly 1/3 less than gasoline and about %50 less than diesel. Abundant, domestic fuel – using a gallon of natural gas means less imported oil, which reduces dependency on foreign oil. Clean burning – natural gas produces less exhaust and carbon emissions than any other fossil fuel. Learn more about how natural gas vehicles can be used for your fleet or visit us online at www.ugi.com.